Whether your business has been successful after years of hard work or it has floundered in difficult times, transferring its ownership may be one of the most important events in your life. Taking into consideration the many aspects of a change of business ownership will increase the likelihood that you'll have a positive outcome. Change of business ownership is a one-time event in the life of your business. Work with your financial advisers to consider each step in the process including valuation of the business, finding a new owner (whether through a sale or passing to an heir), structuring the transfer and life after business ownership. A good plan will help to ensure that you have a positive financial outcome and a snag-free change of ownership. Several events may initiate a change of business ownership. You may be ready to retire and be passing the business on to a partner or family member. It may be time for you to profit from the rewards of hard work by selling the business to an individual, partnership or a larger corporation. Maybe the business has not been as successful as you’d hoped and you are ready to let someone else take over. Whatever the case, learn what unique issues you should consider based on your situation. Several key steps make up the change of a business ownership. The letter of intent from the buyer outlines the price and terms agreed upon. Due diligence gives both seller and buyer the time to research the other party. The purchase agreement finalizes the specific details of the sale including any non-compete agreements or financing. The deal closes when the final documents are signed and the seller receives whatever payment has been set. 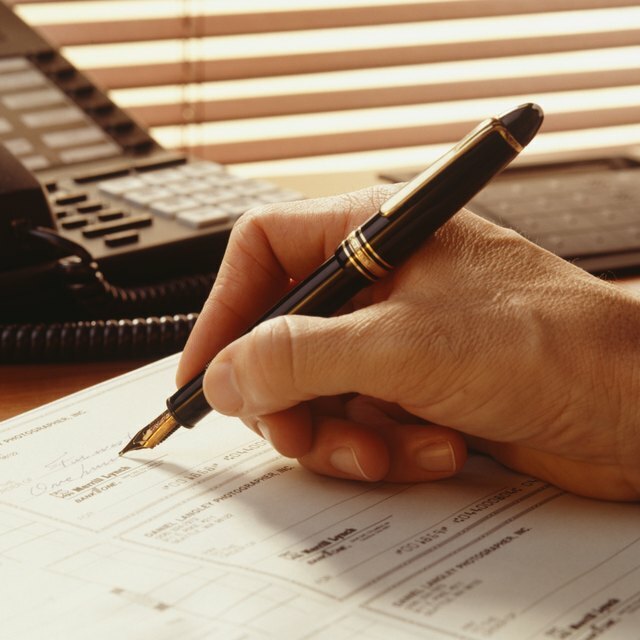 The purchase agreement is the most important document in the change of business process. Both sides of the sale should use an attorney to protect their own interests in the structure of this document. It should include everything the seller intends to include in the transfer of business ownership including, but not limited to, the sale price, the assets to be included, warranties on behalf of seller and buyer, fees and the role, if any, of the seller in the future of the business. Often, the company's employees are the people most affected by a change of business ownership. The human capital that goes with a business can be the most important asset in the transaction. Respect the employees' concerns through constant communication that helps them feel at ease and informed throughout the process. State and federal laws regulate many aspects of a change of business ownership. At the federal level, buyers must apply for a new employer identification number. State laws vary, but generally require that the state be notified of a sale to ensure everything proceeds according to law. Consult with an attorney to make sure your change of business ownership fully complies with statutory requirements.